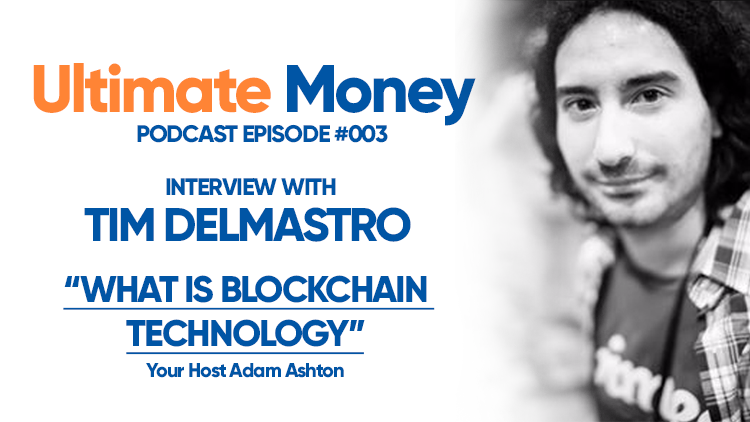 The first two episodes of the Ultimate Money podcast covered cryptocurrency in general and Bitcoin more specifically. Now for the third part of our introductory series we look into Blockchain technology. ‘The Blockchain’ is what underlies the Bitcoin network – it is the distributed public ledger that verifies every transaction made of every bitcoin. Every 10 minutes, the ‘block’ of verified transactions is closed off and added to the chain. It sounds a little confusing at first, but Tim Delmastro holds my hand again. Tim is a staff writer here at Ultimate Money and the producer of two crypto documentaries.